At age 13, Roberts emigrated from England with his parents and settled in Australia. At 16, he began to work as a photographer while studying art at night. Almost 10 years later he decided to devote himself to painting, so he moved to England and studied art at the Royal Academy schools, only to return to Australia after the end of his career. Roberts began to dedicate himself to motifs that portrayed the lives of workers in Australia. This type of paint, at that moment, generated resistance because, according to critics, were not considered “artistic enough.” However, the Australian public related to them, and the artist achieved fame and prestige, regardless of academic opinion. Roberts subscribed to a movement called the Heidelberg School, with artists who liked to paint outdoors with a technique similar to the Impressionists. In Escape! we see a scene of rural Australia. From the left, we see a flock of sheep that has escaped from a farm and head running into a lake to drink water. Although the work has lots of clear details, the confuse dust raised by the herd gives dynamism to the painting. A character riding a horse tries to control the situation, since it is common that many sheep die by drowning as a result of trampling of the last ones to arrive to a lake. The landscape is arid and dry and illustrates the colors of the interior of Australia without any idealization. 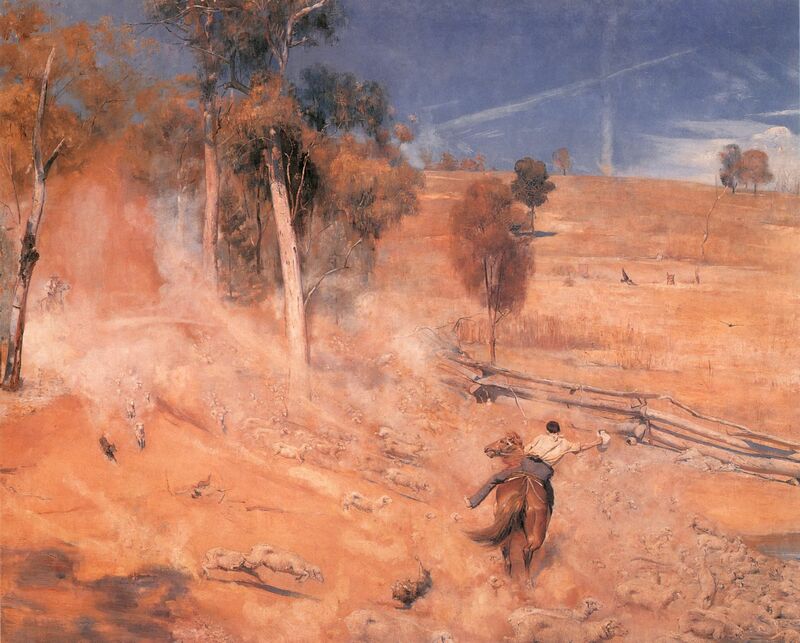 This honesty characterized Roberts, who became one of the most important Australian painters. ~ by Álvaro Mazzino on January 5, 2012. The pair also support 802.11ac Wi-Fi (2×2 MIMO for Samsung), Bluetooth 4.0 (4.1 for the Note 4) and GPS. The Note 4 adds MHL, an IR blaster and Samsung’s Download Booster, which combines the power of 4G and Wi-Fi for faster downloads. The Campus is a classic silhouette that was originally introduced in the 1970s as a lowtop basketball sneaker called the Tournament. In the 1980s, Adidas sneakers were particularly popular in the growing world of hip-hop, and the shoe, by then renamed the Campus, became a staple. This entry was posted on January 5, 2012 at 10:54 and is filed under Impressionism.You can follow any responses to this entry through the RSS 2.0 feed.You can leave a response, or trackback from your own site.